Let’s face it, nothing is more fun than playing with water guns as an adult. 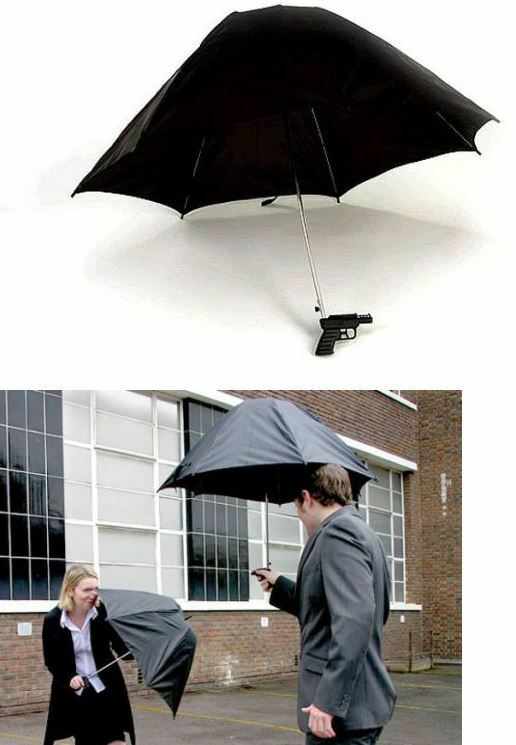 With this umbrella, you can have even more fun. You can use the umbrella as your shield and the water gun to get your partner. I don’t know if you have to dress up like these folks are in the above image to play the game though. Previous articleBaby Mop: Put your Baby to Work?